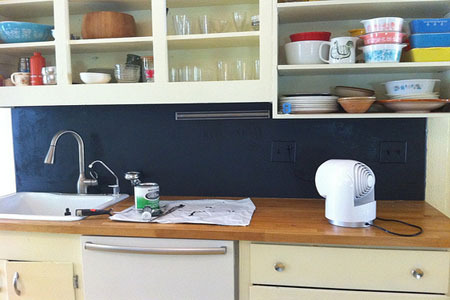 Give your dowdy kitchen cabinetry a lift with paint and new hardware. Proper preparation -- cleaning, sanding, priming and painting with an oil-based or 100% acrylic paint -- is key to a good-looking, long-lasting result. Using a paint sprayer helps, too (rent one from a paint or home-improvement store). Pros charge an average of $547 to do the job with one coat of paint on 150 square feet of base and wall-hung wood cabinets, according to Do It Yourself or Not (www.diyornot.com). 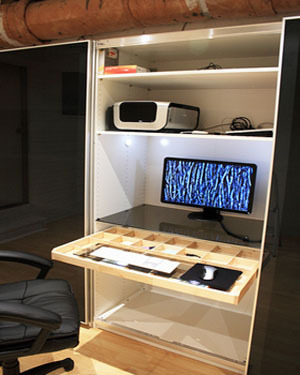 Don't have an entire room to make into a dedicated home office? Create an office nook by redoing a corner of a room or repurposing a closet. If you use a closet, first remove existing shelves and the hanging pole, then paint. 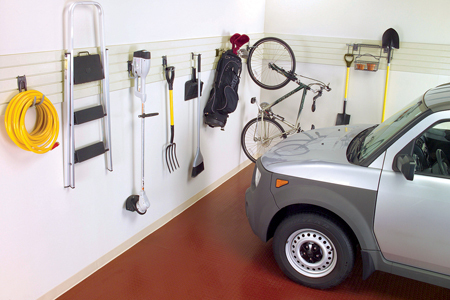 Many homeowners have a no-car garage because it's so full of stuff that there's no room to park a vehicle. Look for a slatwall system that uses molded plastic panels with slots from which you can hang hooks, shelves and baskets. Fasten the panels to your garage walls via one of several methods, such as drywall screws into studs. Has your closet become an avalanche waiting to happen? You need a closet organizer. First, empty the closet and decide what to keep, toss, donate, consign or sell. Once you know what stays, you can pick a system accordingly. If you are looking for home or renters insurance, or would like to review your current coverage and costs, contact Cliff Cottam Insurance for a free consultation. As independent agency, we can shop all the top insurance companies to find you the best rates! (800) 807-6871 (800) 807-6871 .